February 5, 2019  This week on All Songs Considered: A kind of demented nursery rhyme from singer Billie Eilish, a surprising cover tune from Lucy Dacus, the return of producer and musician John Vanderslice and more. November 7, 2014  Given the daunting task of finishing songs Bob Dylan had started (and abandoned) decades ago, super-producer T Bone Burnett decided to call a few friends. June 12, 2013  The venerated entertainers dive into uncharted territory together: a musical 13 years in the making. June 8, 2013  No, it's not the setup to a joke. 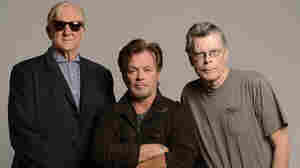 John Mellencamp, Stephen King and T-Bone Burnett are the creative team behind Ghosts of Darkland County, a stage show based on a true story of small-town tragedy. January 13, 2010  The singer, songwriter and producer says his approach is simple: "Just listen until it sounds right." Burnett has been getting it right for a long time, and his latest project is the film Crazy Heart, for which he wrote several songs for the main character, a broken-down musician played by Jeff Bridges. Burnett talks to Terry Gross about the film and about his storied career. May 17, 2009  Stephen Bruton played guitar for nearly 40 years with Kris Kristofferson. He recorded five solo albums, and his songs have been covered by such greats as Bonnie Raitt and Willie Nelson. Bruton died of cancer on May 9 at the home of his longtime friend, music producer and songwriter T-Bone Burnett. June 11, 2008  He's best known as a hit-making producer of American roots and rock music, but T-Bone Burnett has spent plenty of time on the other side of the studio glass. And, thanks to the restaging of a play by Sam Shepard, he has a new album out, too. May 31, 2006  "Fear Country" is the sort of polemic that would come off as clumsy in lesser hands, but singer/producer T Bone Burnett smartly juices the song with sinister, shuffling rhythms that somehow maintain the intensity while taking the edge off. 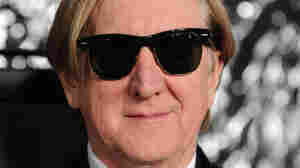 May 21, 2006  T Bone Burnett hasn't produced an album of his own music since 1992. That pause ends this month with two new projects out on CD. He's also embarking on his first concert tour in nearly 20 years. He talks with Liane Hansen about his latest efforts. December 25, 2003  Producer T Bone Burnett is the man behind the music in the new movie Cold Mountain. Burnett's soundtrack weaves original music with traditional folk songs for the Civil War saga, which opens Thursday. He speaks with NPR's Bob Edwards. July 28, 2001  Scott talks with T Bone Burnett, soundtrack producer for the movie O Brother, Where Art Thou? 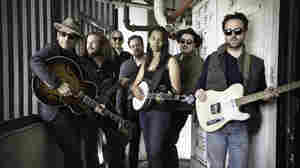 This week Mr. Burnett released a new CD called Down From The Mountain on Lost Highway Records (www.losthighway.com). It's a collection of songs from the O Brother sound track recorded last year at the Ryman Auditorium in Nasvhille. 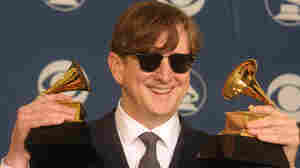 T Bone Burnett holds two trophies, one for Producer of the Year, at the Grammy Awards in 2002. October 31, 2011  Hear an interview with the legendary producer, who reflects on some of the famous albums he's helped make, including Raising Sand and the O Brother, Where Art Thou? soundtrack. 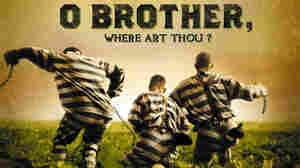 August 23, 2011  The super-producer discusses the success and influence of the soundtrack album for O Brother, Where Art Thou? — and plays cuts from the newly released deluxe edition. August 23, 2011  The legendary roots music producer discusses the 10th anniversary of his Grammy-winning soundtrack. August 12, 2011  Bridges won an Oscar for his portrayal of a country singer in 2009's Crazy Heart. The character was fictional, but Bridges' passion for country is real. In a conversation with Morning Edition, Bridges tells the story behind his new studio album. September 15, 2010  It's no secret that musical rifts are difficult to overcome. When it does happen, it's usually for a really good cause. 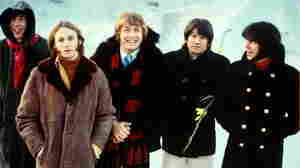 Now the '60s folk band Buffalo Springfield is reuniting for Neil Young's annual Bridge School Benefit Concert in California. May 15, 2008  On this edition of All Songs Considered T-Bone Burnett shares some of his favorite songs and talks about his new solo release, Tooth of Crime. August 22, 2006  The songs for Burnett's new album came from a period of solitude in which he wrote the bulk of his new lyrics. Titled The True False Identity, the disc was recorded with a long list of musicians who shared Burnett's musical influences — which include Bo Diddley, Howlin' Wolf and even Haitian music. May 25, 2006  The enchanting music of Rose Melberg; Jangley found sounds from Cibelle; Solo music from producer T Bone Burnett; Personal recordings from Johnny Cash; Neo folk duo The Handsome Family and more.